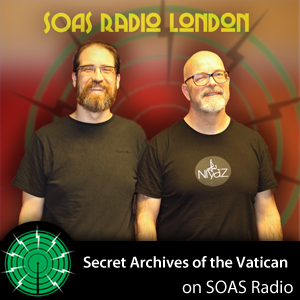 Join Secret Archives of the Vatican for a deep discussion on their worldwide influences, production methods, philosophy and of course Transglobal Breakbeat Dub Science! Presented, Written, Recorded and Produced by Isuru Perera for SOAS Radio. Join Secret Archives of the Vatican for a deep discussion on their worldwide influences, production methods, philosophy and of course Transglobal Breakbeat Dub Science! Presented, Written, Recorded and Produced by Isuru Perera for SOAS Radio.